Pictogram music posters 2017 is a graphic design project shared by Viktor Hertz on his Behance profile. The amazing thing about this project is that we featured Viktor back in 2011 when he posted the first version of this idea. He picked 15 songs from different artists to create a series of minimalist vector illustrations. It is also great to see the evolution of his style from the first iteration to this one. The forms got much simpler in a way, and there’s a bit more color without the need of textures. For the 2017 Viktor selected songs from artists like Daft Punk, Elton John, Frank Ocean, Pixies, Miles Davis, Bestie Boys, Public Enemy, The Doors, Billy Joel and many others. 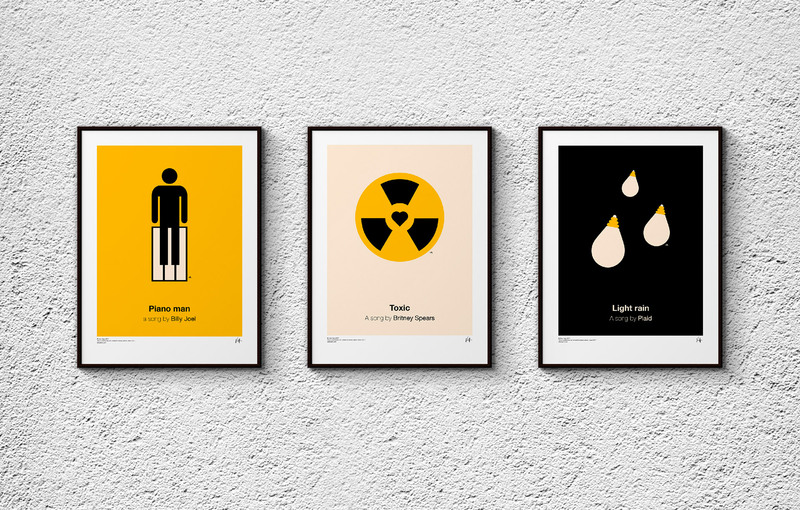 Revisiting one of my first personal projects from 2011, I picked 15 songs from different artists and made pictogram posters of them.